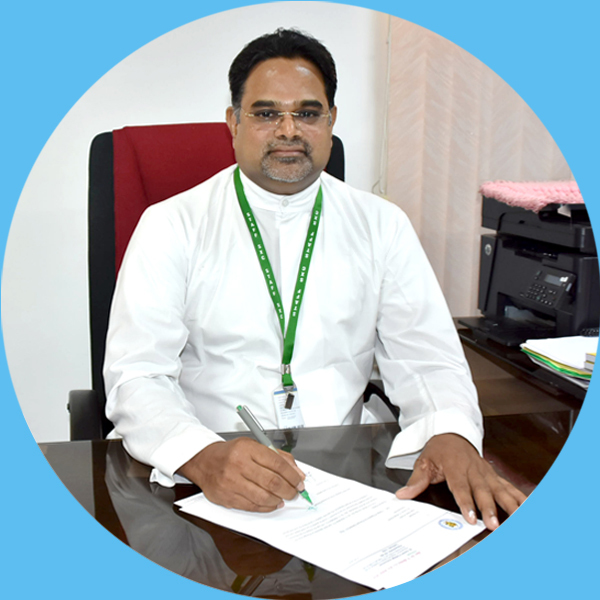 St. Xavier’s College was established at Palayamkottai in 1923 by Jesuit Fathers with the aim of empowering the poor and marginalized youth of the southern districts with proper education and preparing them for a happy, healthy and harmonious life. The history of the college is a saga of human excellence, endurance and commitment for more than nine decades. The Madras University recognized St. Xavier’s College as the First Grade College in 1925 on the basis of its academic achievement. The focus is on inclusive education. It is a grant–in–aid institution recognized by the UGC Act under sections 2 (f) and 12 (B). The college was affiliated to the Madurai Kamaraj University in 1966. In recognition of its service and excellence, the college was granted autonomy in 1987. The college was affiliated to the Manonmaniam Sundaranar University in 1990. Quality is not a one-time episode; it is a continuous process. Therefore, we have tried our best to implement quality sustenance and quality enhancement measures for the last ninety-six years to empower the students with relevant knowledge, competence and creativity, focusing on honesty, humanism and service to the society. The National Assessment and Accreditation Council (NAAC) assessed and accredited the college at Five Star Level in April 2000, at “A” Grade in 2006 and again in 2012 with a CGPA of 3.50. The UGC conferred the status of College with Potential for Excellence on St. Xavier’s College in September 2004 and extended the status in 2010 and 2014. The Department of Biotechnology, Government of India, selected St. Xavier’s College under “Star College Scheme” in 2014 and for the second time in 2017. Currently St. Xavier’s College offers 9 Undergraduate Courses, 6 Postgraduate Courses and 2 M.Phil Programmes as Aided Courses; and 8 Undergraduate Courses, 10 Postgraduate Courses including MBA offered by Xavier Institute of Business Administration (XIBA) , one Postgraduate Diploma Course in Computer Application in Business (PGDCAB) and 5 M.Phil Programmes as Self Financing Courses. 12 Departments of our college are Research Centres approved by the University with eligibility to guide students towards Doctoral Degree. The Department of Foundation Courses, which consists of 49 teachers from various disciplines, ensures holistic education. Student Training and Action for Neighbourhood Development (STAND), an outreach programme specially designed by the college, and Service Organizations take the fruits of higher education to villages, facilitating “Lab to Land” activity. Our intention is to help the students become a sensitive and responsible youth force who have social commitments towards the larger section of the society. The activities of STAND, the programmes conducted with Folk Artistes by the Department of Folklore and Folklore Resources and Research Centre (FRRC), several Research Projects conducted by some of the Research Centres and the service rendered by Judge Joseph Clinical Lab run by the Alumni/ae Association have created a people centred atmosphere and attitude in the college. Information should lead to knowledge; knowledge should lead to wisdom. The ultimate aim of St. Xavier’s College is to achieve a synthesis of intellectual, moral and spiritual development of students, ensuring holistic formation through curricular and co-curricular activities, research and extension, community orientation and neighbourhood service, and personal guidance and counseling. Students are the summum bonum.